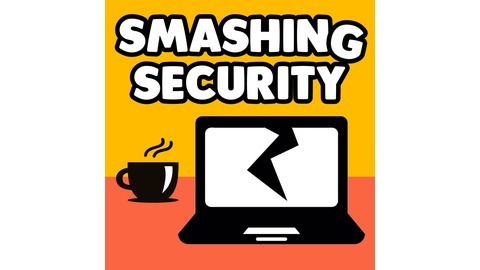 All this and much much more is discussed in the latest edition of the "Smashing Security" podcast by computer security veterans Graham Cluley and Carole Theriault, joined this week by special guest Brian Honan. LastPassLastPass Enterprise simplifies password management for companies of every size, with the right tools to secure your business with centralized control of employee passwords and apps. But, LastPass isn’t just for enterprises, it’s an equally great solution for business teams, families and single users. Go to lastpass.com/smashing to see why LastPass is the trusted enterprise password manager of over 33 thousand businesses. Hacker from Russian crime group jailed for multi-million pound global blackmail conspiracy — NCA. The No More Ransom Project. Experts: Breach at IT Outsourcing Giant Wipro — Krebs on Security. Statement from Wipro Limited confirming security breach. TalkTalk phone scams: arrests made at Indian call center — Graham Cluley. How Not to Acknowledge a Data Breach — Krebs on Security. "The Wipro quarterly earnings call would have gone really well if that pesky @briankrebs hadn't shown up... " — Graham Cluley on Twitter. Smart speaker recordings reviewed by humans — BBC News. Is Anyone Listening to You on Alexa? A Global Team Reviews Audio — Bloomberg. How to stop Amazon from listening to what you say to Alexa — CNBC. Judge orders Amazon to turn over Echo recordings in double murder case — TechCrunch. Klokken minutt for minutt — NRK TV. 3-year-old's password fail locks iPad for 25,536,442 minutes — UPI. Nominate your favourite security podcast/blog/tweeter etc — EU Security Blogger Awards 2019. Nudes mug — The Unemployed Philosophers Guild. Bob Ross mug — The Unemployed Philosophers Guild.